If your PC, tablet, Mac or phone has a USB C port, this can still be used to connect to a DisplayLink enabled docking station, adapter or monitor. 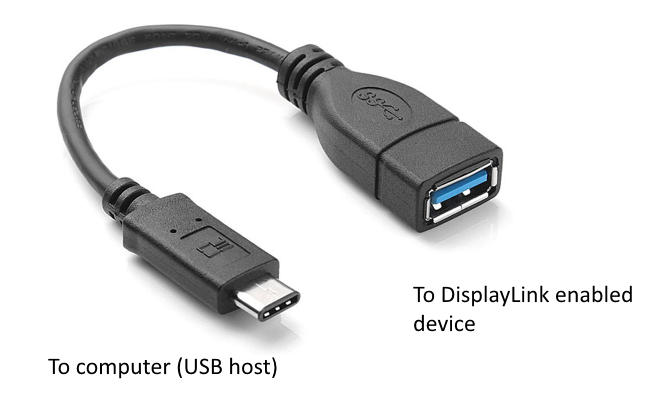 Your existing USB Standard A to B cable can then be used to connect your existing DisplayLink enabled device. The USB C to A (female) adapters are available from a number of outlets, including Amazon. For more information on using DisplayLink with USB C, see our website.